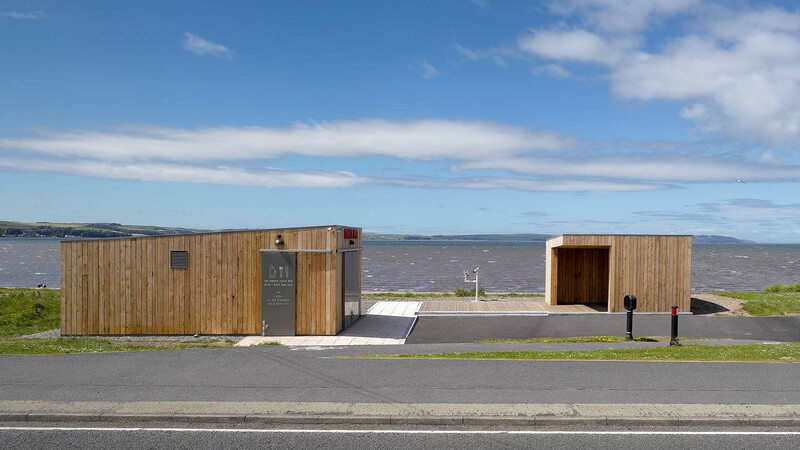 THE AHR LANDSCAPE TEAM WAS COMMISSIONED BY DUMFRIES AND GALLOWAY COUNCIL TO ENHANCE SOME KEY APPROACH LOCATIONS ON THE OUTSKIRTS OF STRANRAER TO ASSIST WITH ONGOING INVESTMENT WHICH COUNTERS THE TOURISM AND ECONOMIC IMPACT OF THE FERRY PORT TO NORTHERN IRELAND MOVING SEVEN MILES OUT OF TOWN TO CAIRNRYAN. Stranraer is in a period of change. Until late 2011, the Stranraer to Belfast-Larne ferry line had operated directly out of Stranraer Port within the heart of the town but the move to a deep water facility up the coast at Cairnryan meant that passengers from the north or south could easily bypass the town and its approaches altogether. 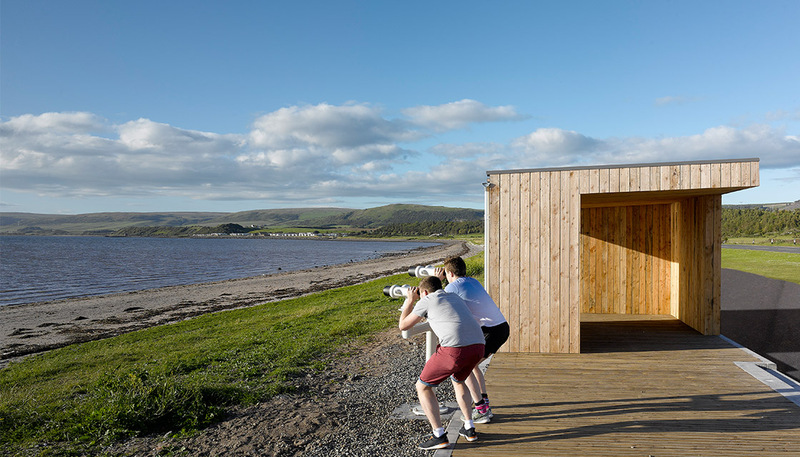 After extensive local and national consultation and study, Dumfries and Galloway Council and its partners were seeking to 'reposition Stranraer and Loch Ryan as a distinctive and successful marine leisure destination' with the intention of attracting tourists, job creation, improve the economy and promote the operation of leisure pursuits and commercial craft. This vision was encapsulated in the Stranraer Waterfront Urban Design Strategy and Masterplan. 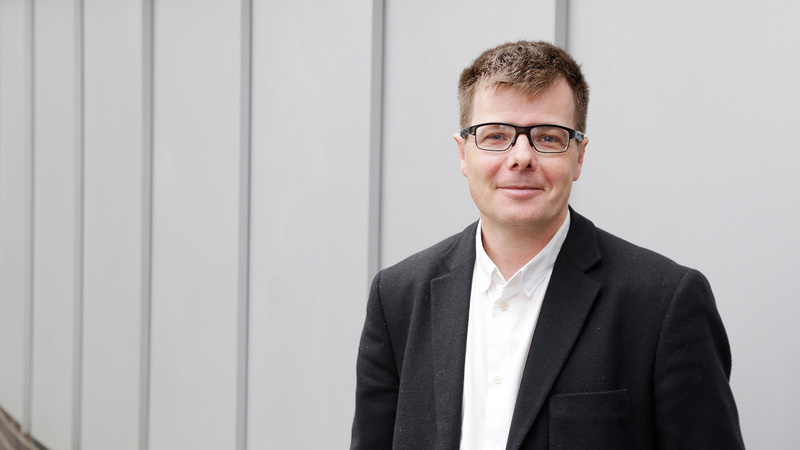 The Master plan describes a programme of initiatives that would improve the town centre, develop the harbour, redevelop derelict land at the old ferry port and rejuvenate influential locations on the town’s main access roads. The first completed ‘Gateway’ is at the Balyett layby, adjacent to the A77 on the shores of Loch Ryan between the town and Cairnryan port. Formerly this was a layby containing a tired-looking, but popular snack bar known as ‘The Bunker’ but with magnificent, expansive views down the loch. 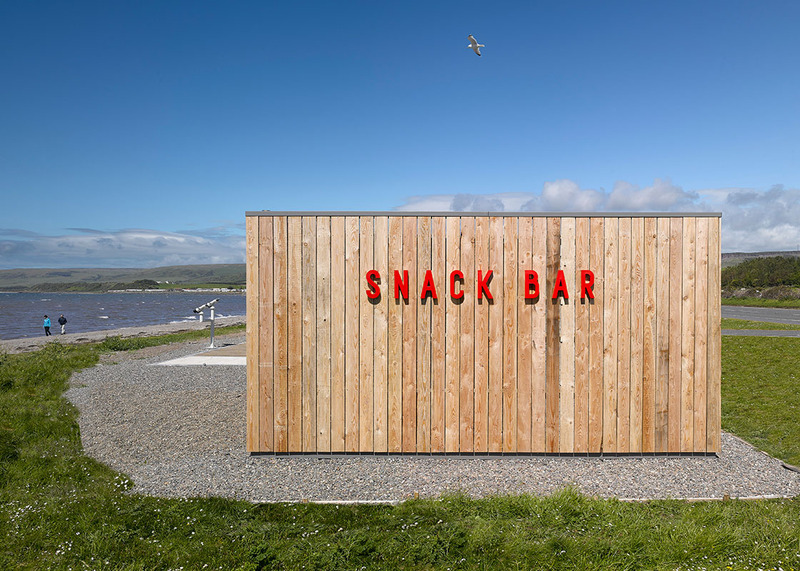 The popularity of the snack bar provided the site with an existing purpose. It is also a location to observe wading birds, the floating rafts of eider ducks and the more distant ferries arriving and leaving. 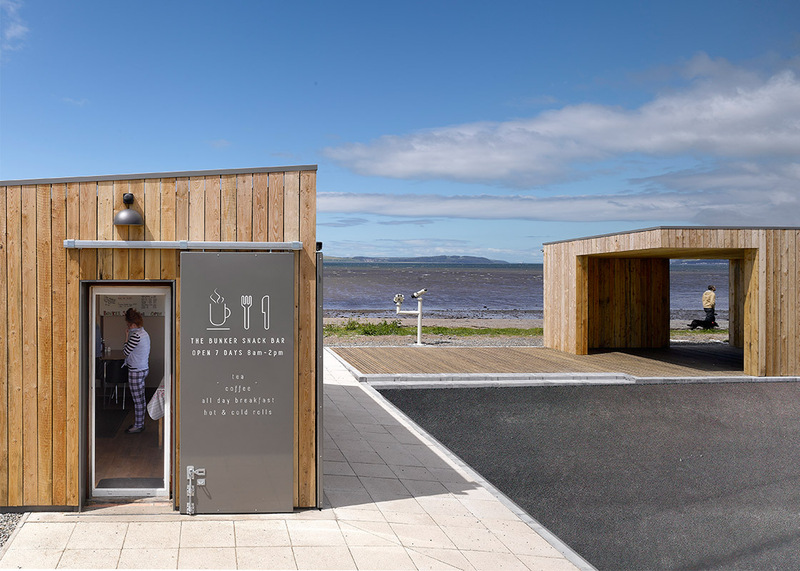 The proposals have seen a significantly improved café with a simple but crisply detailed re-cladding, new flashings and ironmongery. This is complimented with a cantilevered companion pavilion providing shelter from the exposed locale, covered and uncovered seating and a binocular observation point. 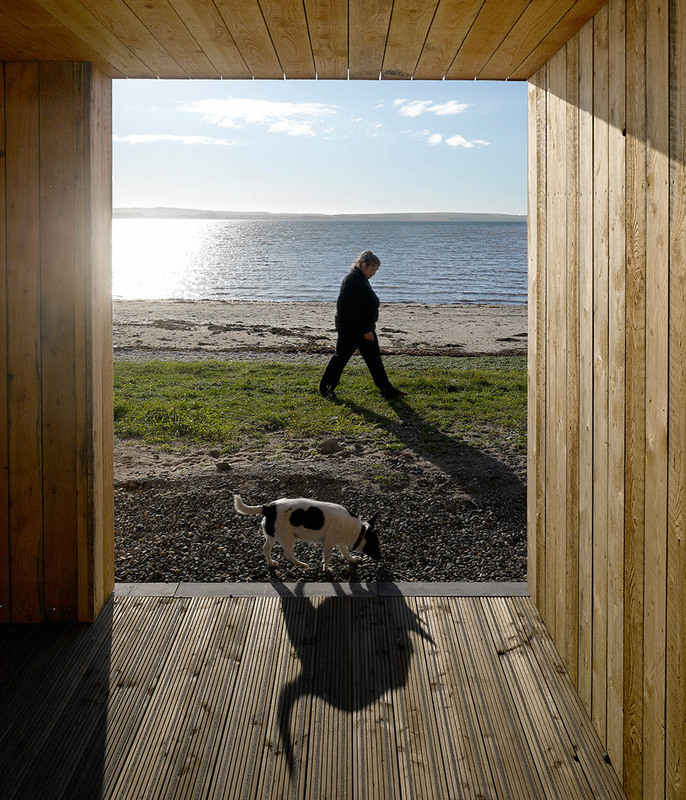 The pavilion uses the conceptual theme of framing the surrounding seascape in a similar way that ferry portholes do. A simple palette of materials have been applied to take cognisance of the local surroundings to be a simple but robust modern intervention in a weather exposed environment. 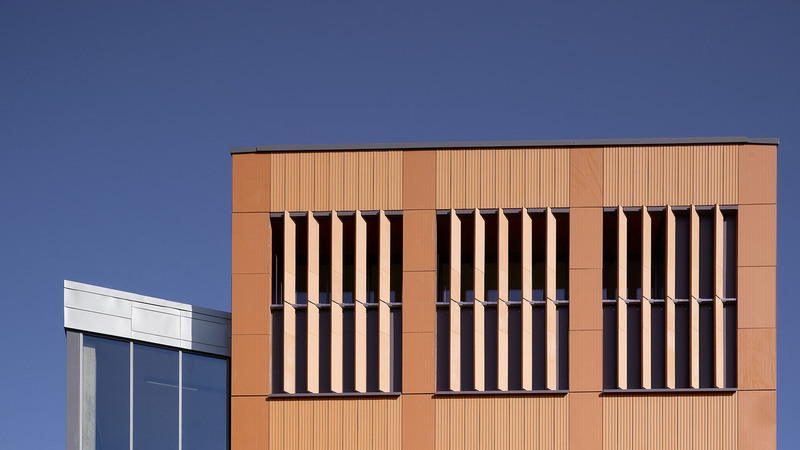 The main construction material, larch was chosen as a Scottish sourced material from Russwood of Newtonmore being durable, natural and cost effective whilst weathering from brown to a less obtrusive grey. The building lifecycle was an important consideration requiring minimal maintenance throughout the life of the structures. 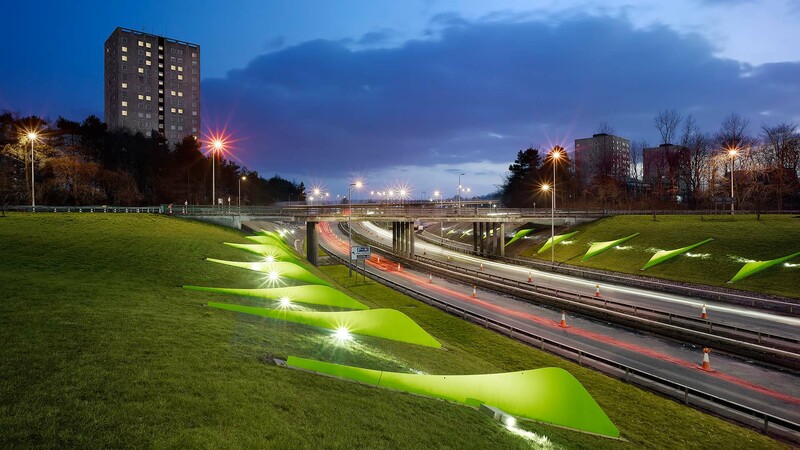 The detailing of exposed junctions was particularly important to design-out areas of weakness where cut materials became vulnerable and could be protected against the elements. Attention to detail down to the screw fixings was carefully considered to avoid aesthetic dilapidation or product failure due to the blowing shore sand and sea salt air of the Loch Ryan micro-climate.